Life would be boring without rumors, Vladimir Putin said after appearing on public in St. Petersburg on Monday. Earlier, Western media succumbed to hysteria, asking “Where is Putin?” and suggesting the Russian president might have fallen ill.
Putin met his Kyrgyz counterpart Almazbek Atambayev on Monday in his first public meeting open to the press since March 5. Putin’s spokesman Dmitry Peskov mocked the rumors about his boss’s alleged disappearance. The Kremlin is not going to comment on Putin’s state of health, Peskov stated. “We’ve said 10 times, we can’t comment anymore,” he told journalists, adding that the more comments that are released, the more fantastic theories are being invented. Social media has been abuzz with tweets and blogposts about the mysterious alleged disappearance of the Russian leader. After Putin canceled a meeting with German chancellor Angela Merkel on March 11, sympathetic users suggested he may have been ill. This theory was denied by the Kremlin. Austrian newspaper the Kurier insisted Putin is suffering from back problems, and an orthopedic expert has traveled to Moscow from Vienna to treat him. Users who preferred the ‘Russian-invasion-is-coming’ mood wrote that Putin was preparing for a full-scale war. Several tabloids speculated about Putin’s alleged problems at work in the Kremlin. 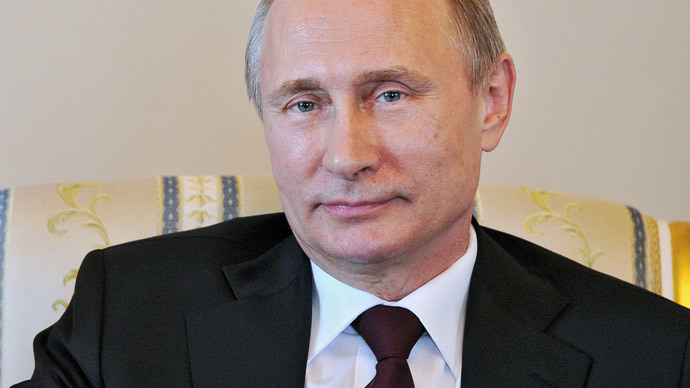 They wrote that Putin had been overthrown by a coup or security agencies in Moscow. The Interpreter wrote that, while some Russians were posting photos on social media showing tanks near the Kremlin. Among the speculative theories was that Putin’s alleged girlfriend, Olympic champion gymnast-turned-MP Alina Kabaeva, had given birth to a baby and that the Russian leader had abandoned the whole country for paternity leave. The UK’s Daily Mirror even reported that a baby girl, a love child, has recently been born at a clinic in Switzerland. The New York Daily News went one further, and wrote that it’s not even the first baby of the couple, as they also had two kids together, according to Corriere Del Ticino, a Swiss newspaper. “No need to worry, everything is all right. He has working meetings all the time, only not all of these meetings are public,” Dmitry Peskov said Thursday in an interview with Echo of Moscow radio. He added that the president is “absolutely healthy” and joked that “his handshake is so strong he breaks hands with it."